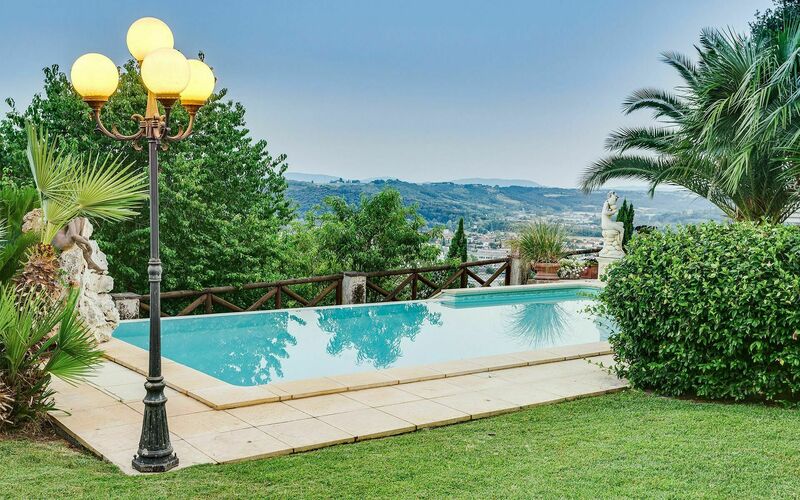 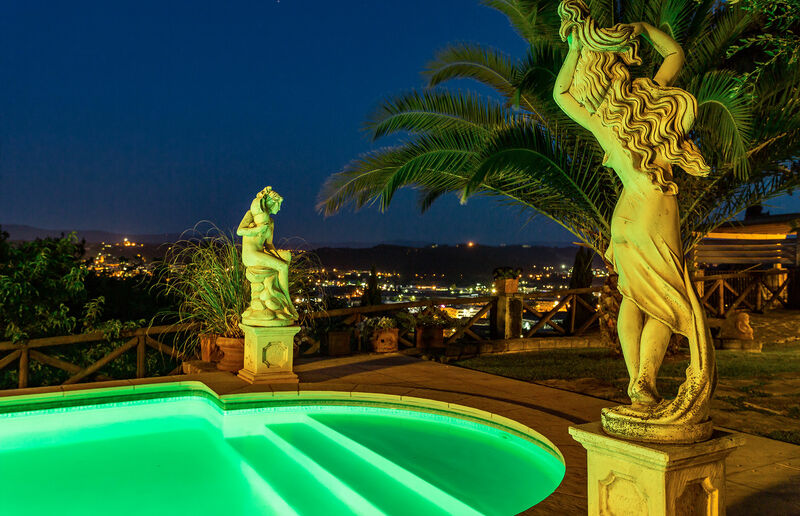 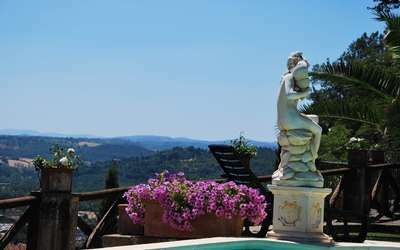 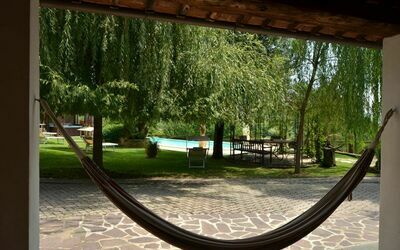 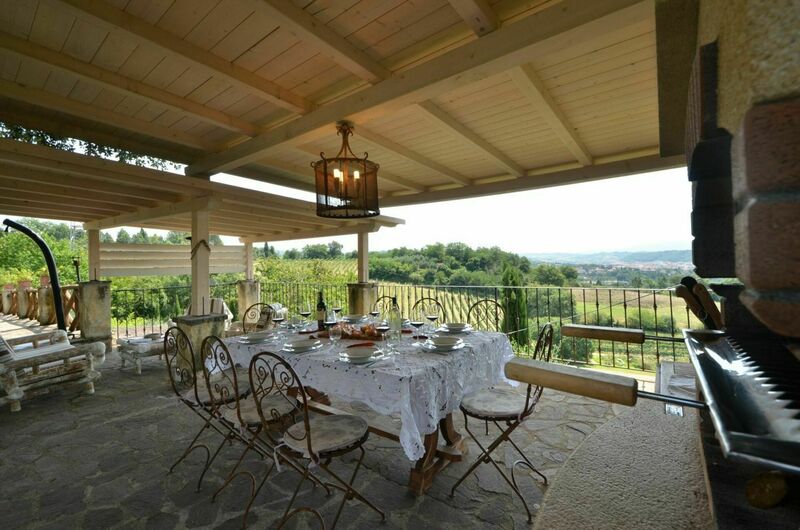 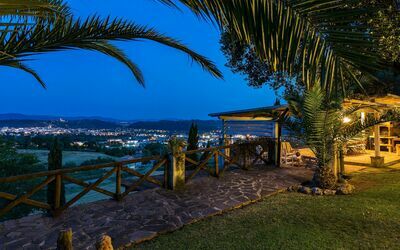 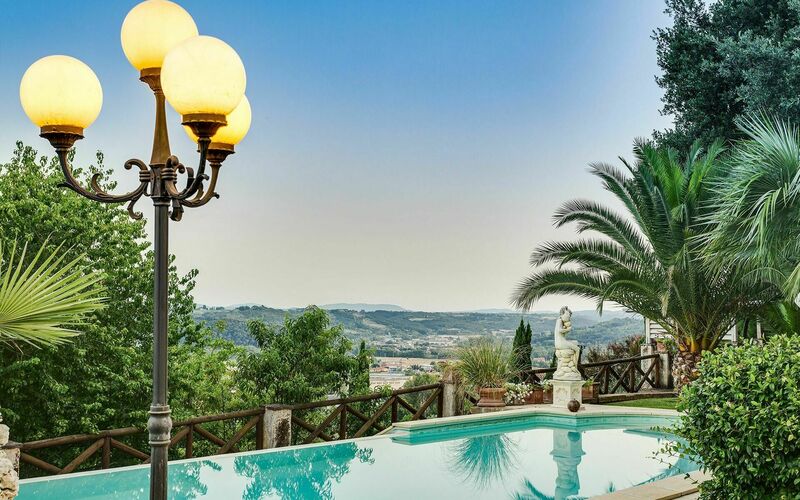 Villa Carolina is a wonderful 3 bedroom-3 bathroom villa situated in the centre of Tuscany in the beautiful wine region between Florence and Siena, just 1 km from the tiny historic hamlet of Linari and 8 km from San Gimignano. 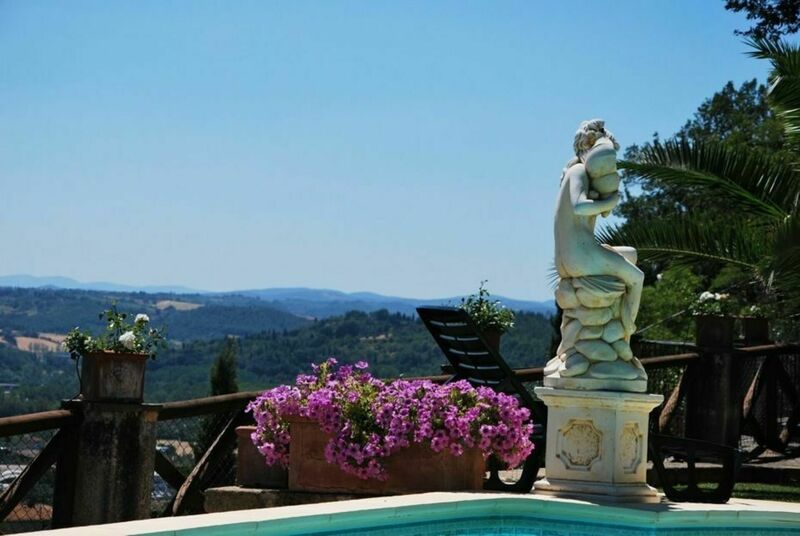 the nearest local town of Poggibonsi with an excellent selection of shops, restaurants and supermarkets is just 2 km away and it’s a joy to wander through the pretty surrounding Chianti countryside. 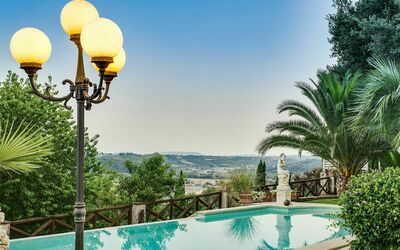 All of Tuscany’s jewels are easily reached, with both Florence and Siena being only just over half an hours’ drive away by car or accessible via train and bus connections from nearby Poggibonsi. 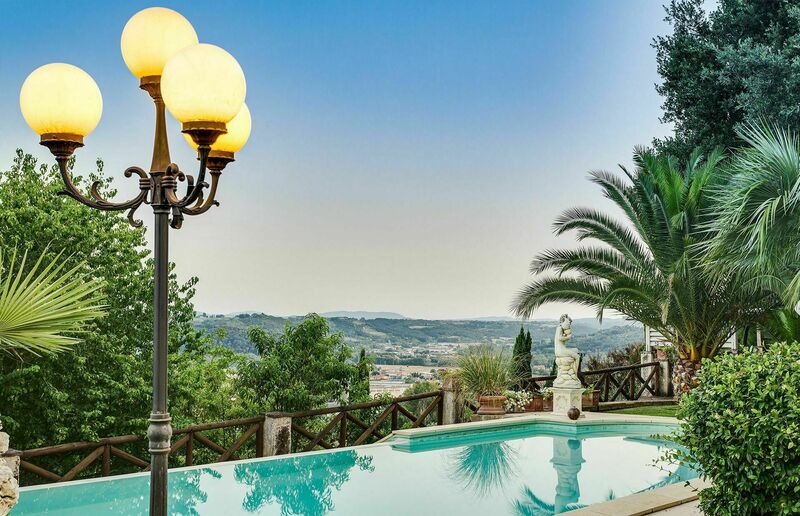 The famous medieval town of San Gimignano is just 10 minutes away, and many more of the regions attractions are easily visited. Distances: The village of Linari is only 1 km, supermarket and all kind of shops can be found 2 km away in Poggibonsi with all kind of shops (open 7/7 days, from 08 am to 08 pm), San Gimignano 8 km, Florence 33 km, Siena at 22 km, Pisa at 75 km, Volterra at km 33, the sea at 80 km, Airport Florence 43 km, Airport Pisa 80 km, Montalcino km 60, Montepulciano km 65, Pienza km 58. In a pretty position overlooking the valley there is the swimming pool with salt water (11m x 5m depth 1.10-1.60 m), and also a separate hydrotherapy SPA Jacuzzi tub (€ 40, per 30 minutes for 4 persons) which is beneficial to the skin. 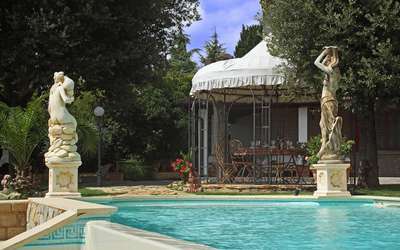 The swimming pool is open from the 30 March to 31 October. 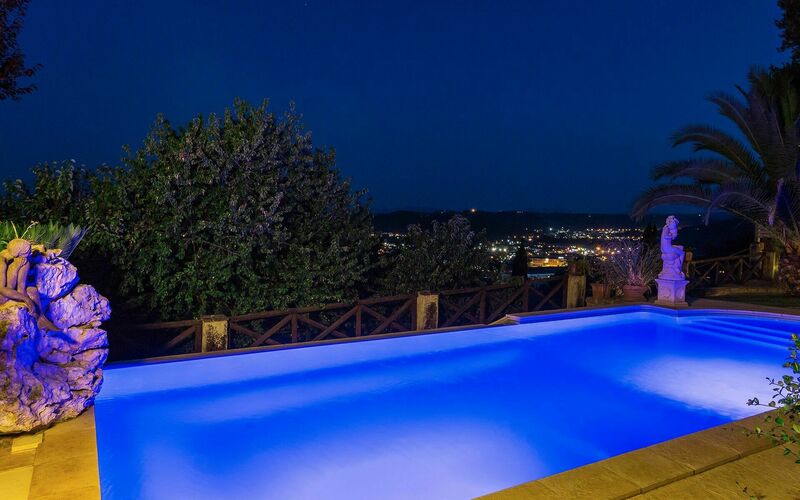 The swimming pool has a roman style shape with steps gradually leading down into the water which is slightly salted. 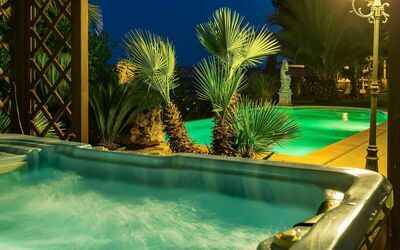 The pool has two hydro massage corners, an infinity edge and is particularly beautiful in the evening as its lights change the colour of the water creating a romantic atmosphere. The hot-tub should be reserved in advance. 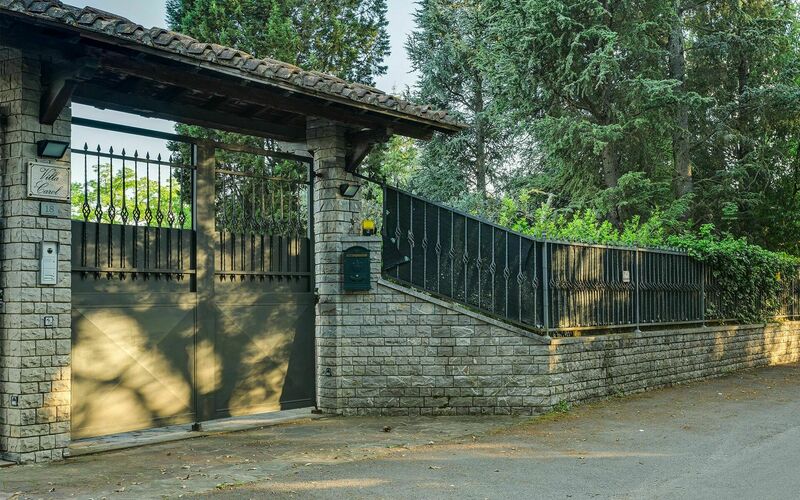 The villa has its own private entrance and the garden is fully fenced. Parking is in the grounds next to the villa. 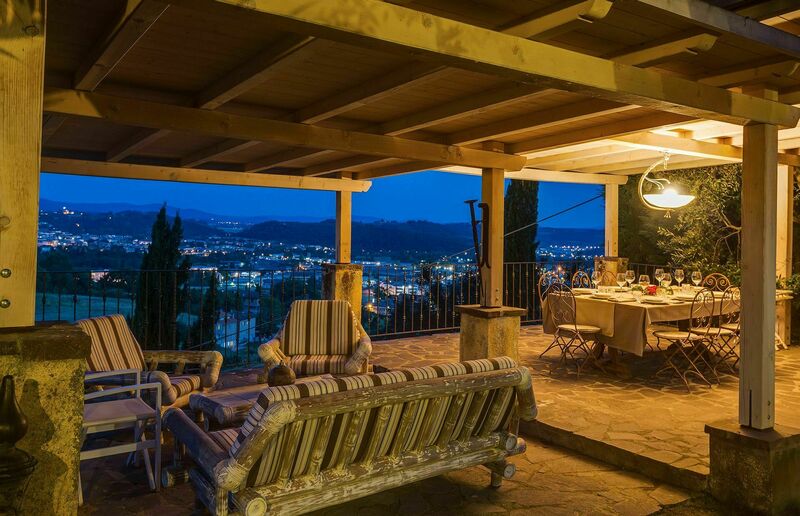 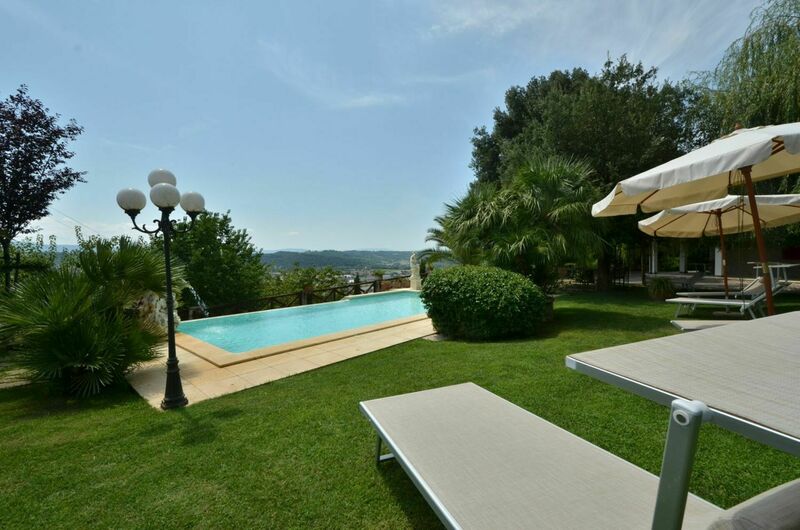 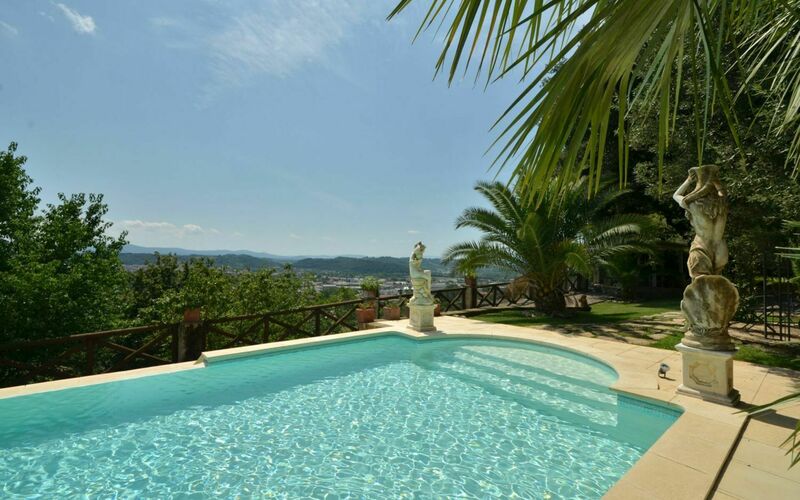 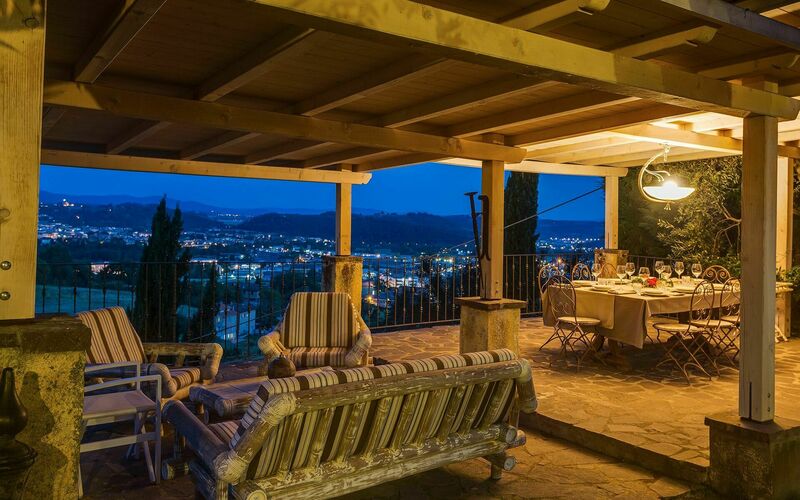 The garden and pool are for the exclusive use of guests renting the Villa Carolina. The owners who live in the other part of the house with its own separate entrance are friendly and helpful. 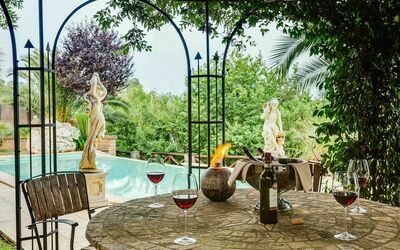 The garden and orchard, lettuce, vegetables and aromatic herbs are also for your use as well as a barbeque and equipped area. The villa also has a laundry area with soap, iron and ironing board at your disposal. Private parking on site, for up to 4 cars. Extra Services The owners can provide typical Tuscan dinners with " Bistecca alla Fiorentina" and also cooking classes on request (not available on Saturdays). 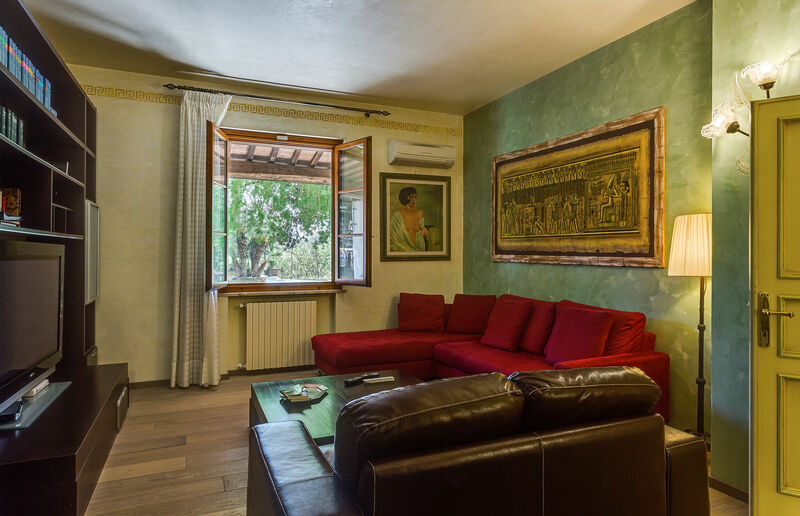 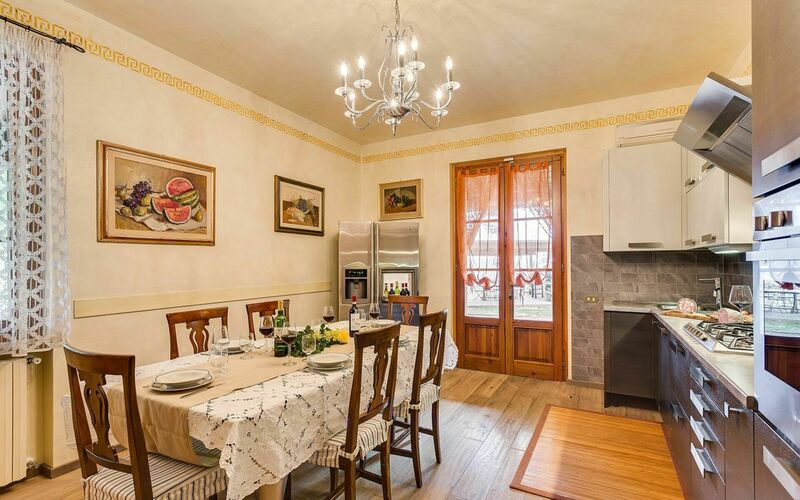 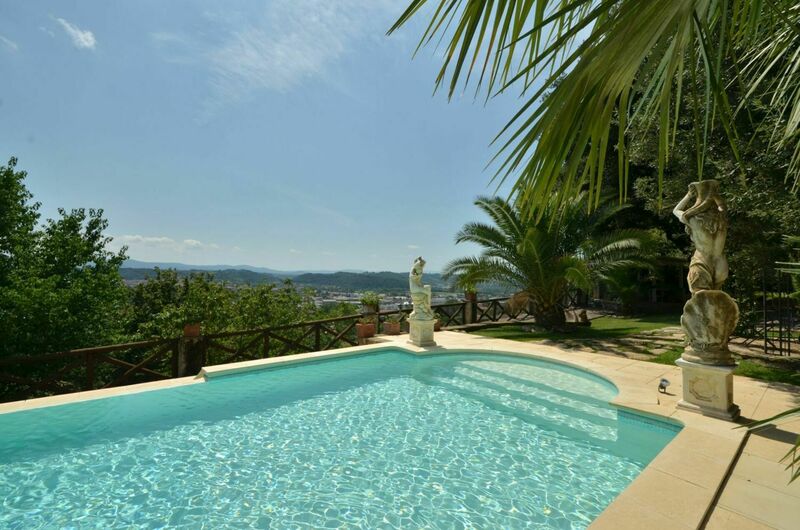 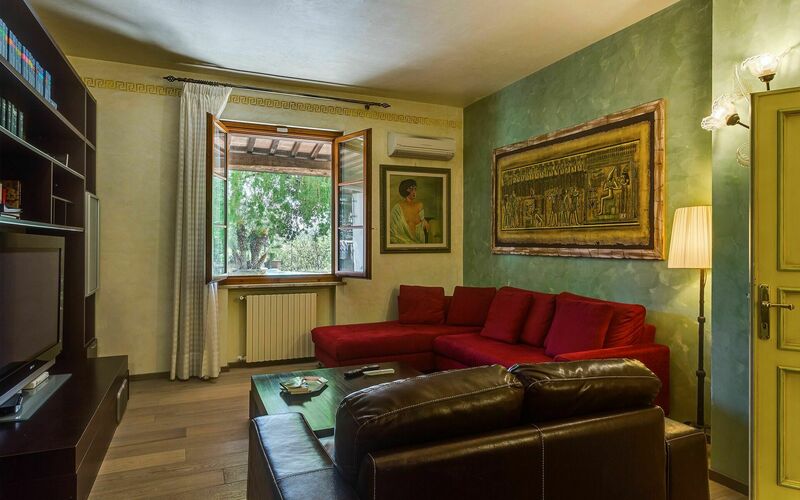 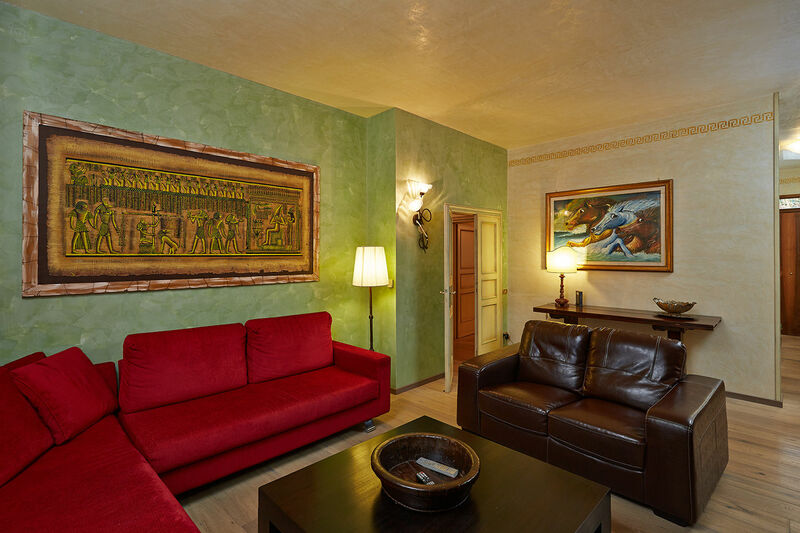 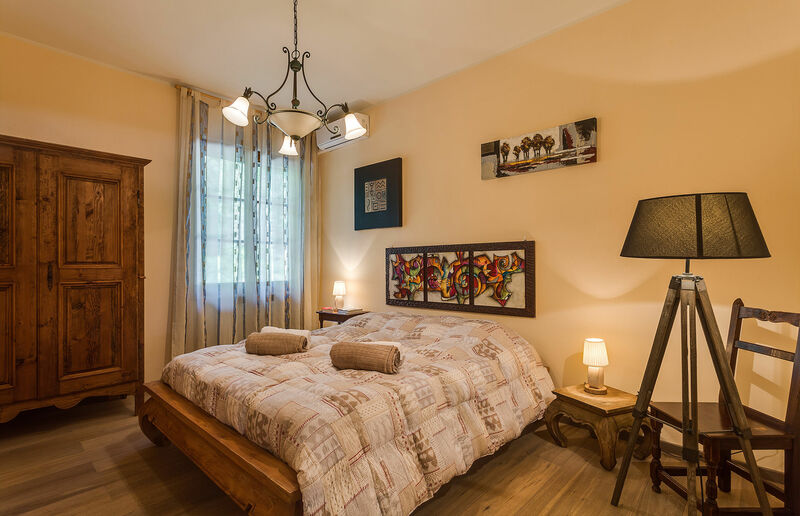 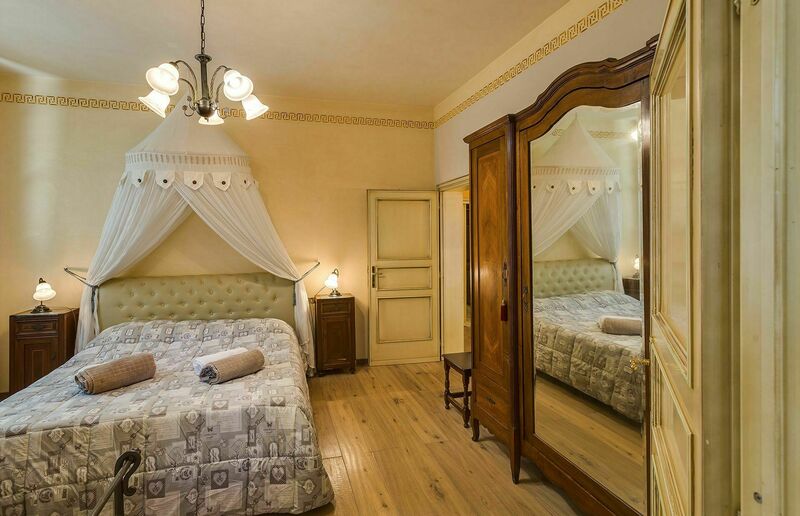 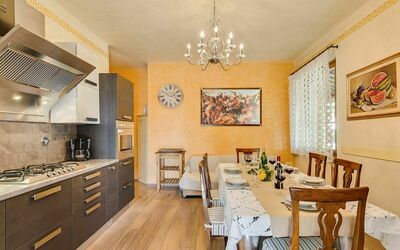 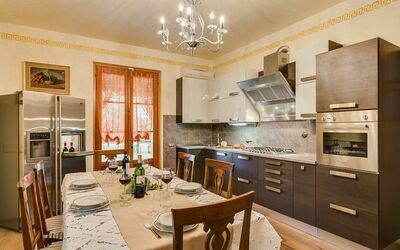 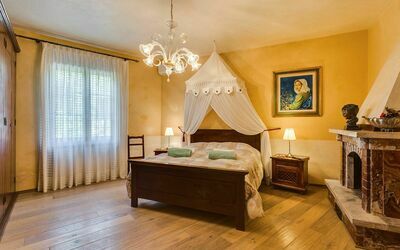 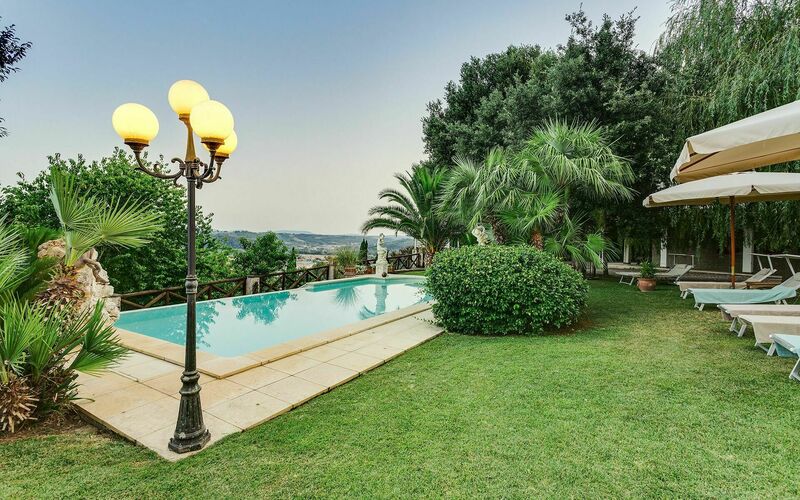 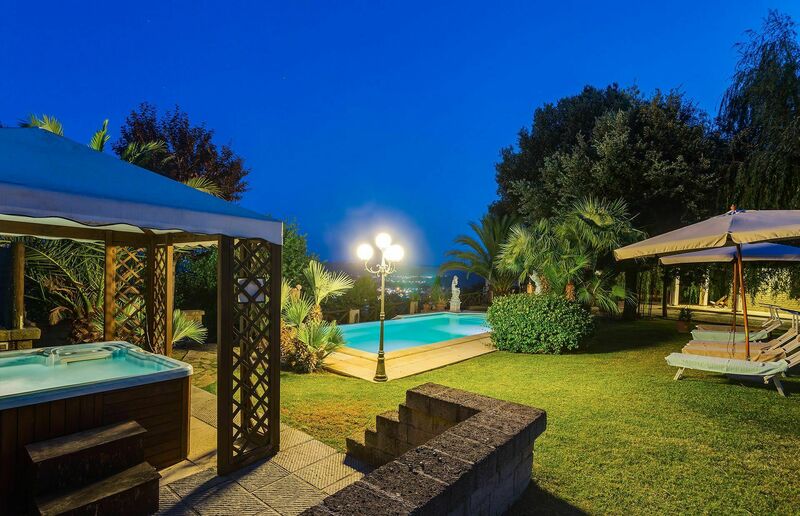 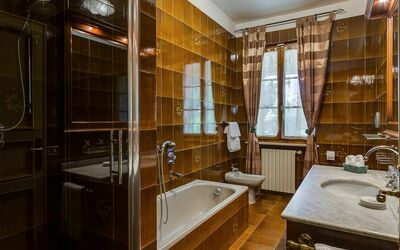 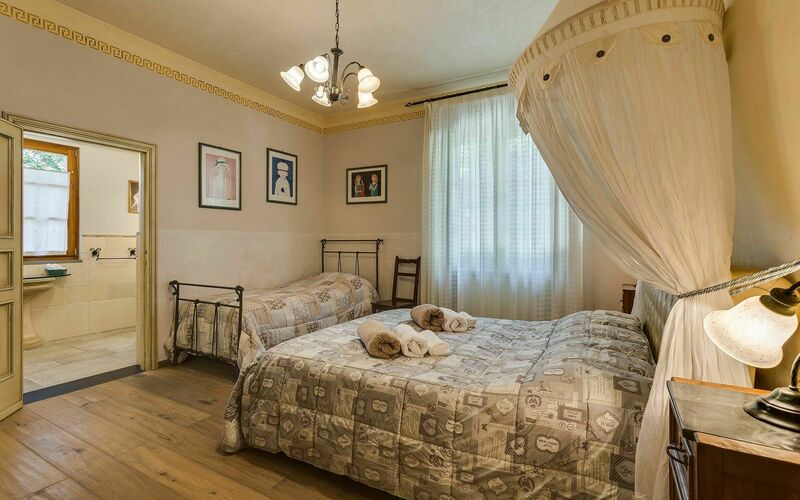 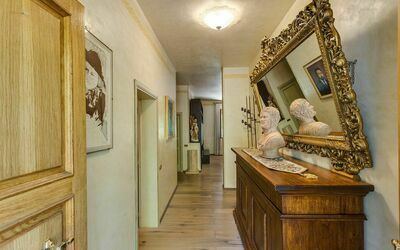 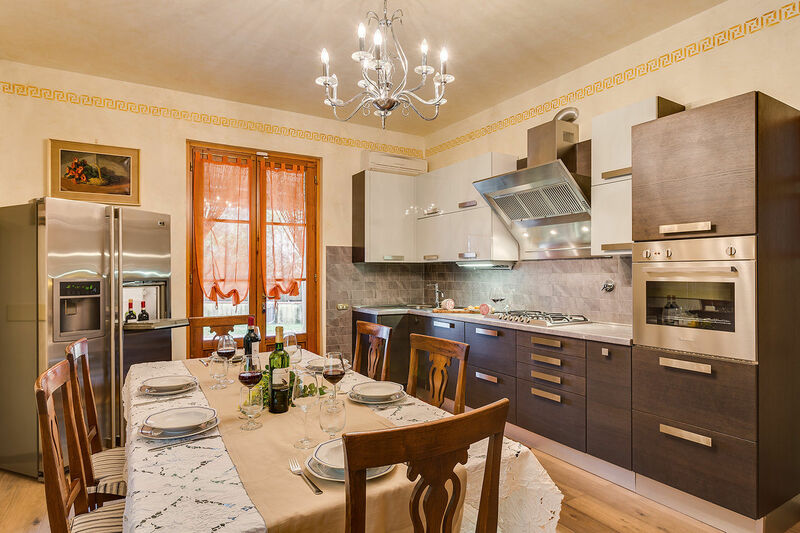 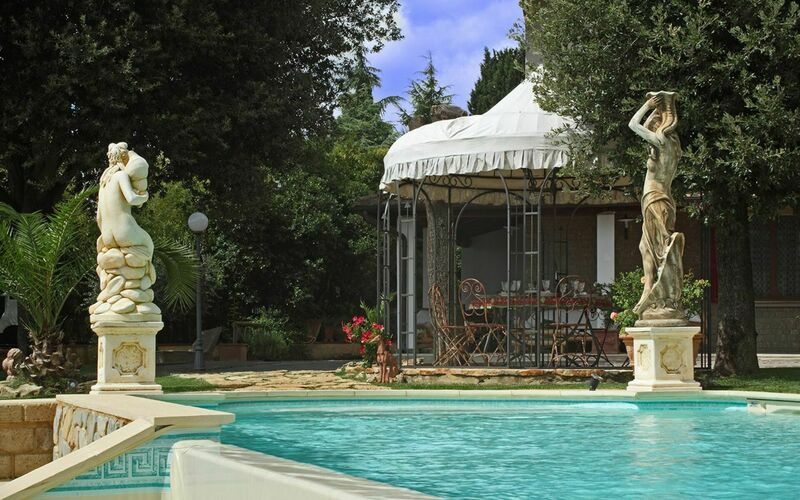 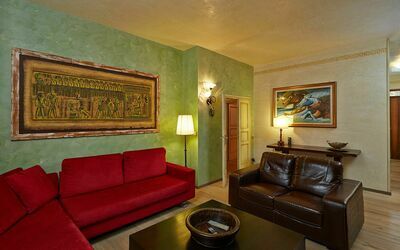 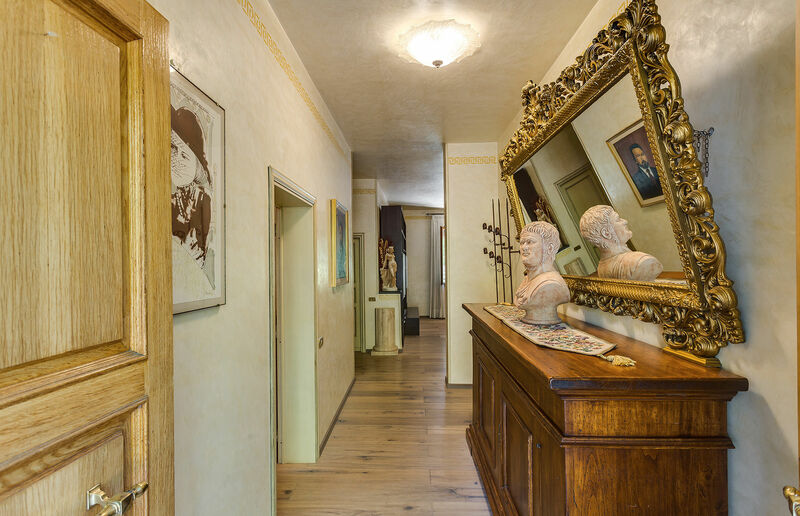 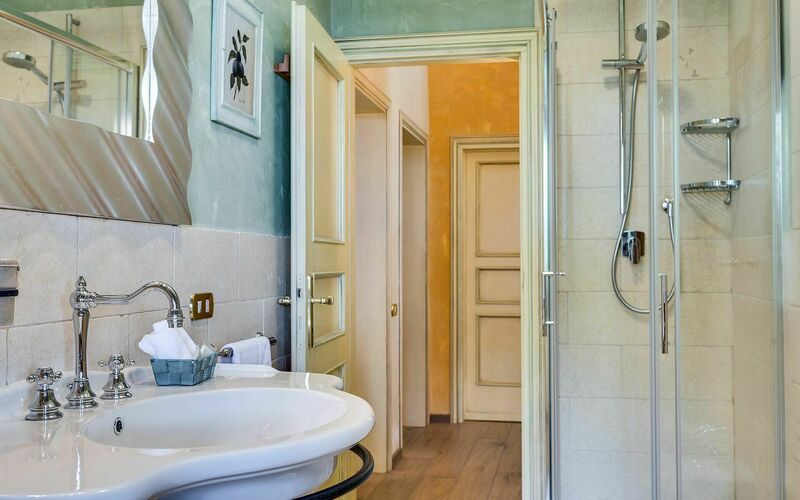 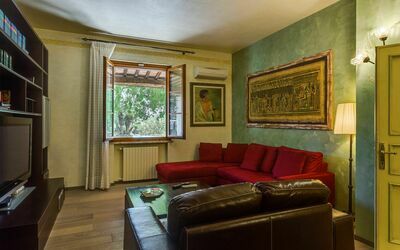 Villa Carolina (200 sqm) is comfortably furnished to a high standard in pretty classic style, with Florentine oak wood parquet floors, lovely Venetian stucco walls and many antique pieces throughout the villa creating a homely and inviting atmosphere. 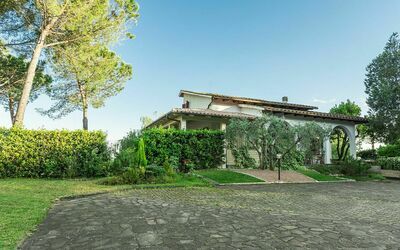 All on the ground floor, the villa's entrance leads to a characteristic open plan living-room which has a fully equipped kitchen area (5 gas rings, small electric combined oven, fridge, freezer, dishwasher), dining table and chairs, and sitting area with settee, satellite television and DVD player. There are three lovely bedrooms: one with double bed and ensuite shower room, and two triples with double bed and single bed. 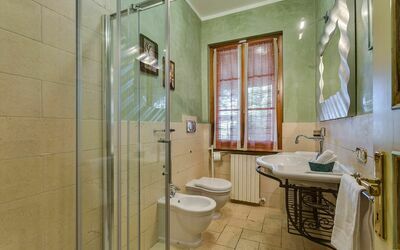 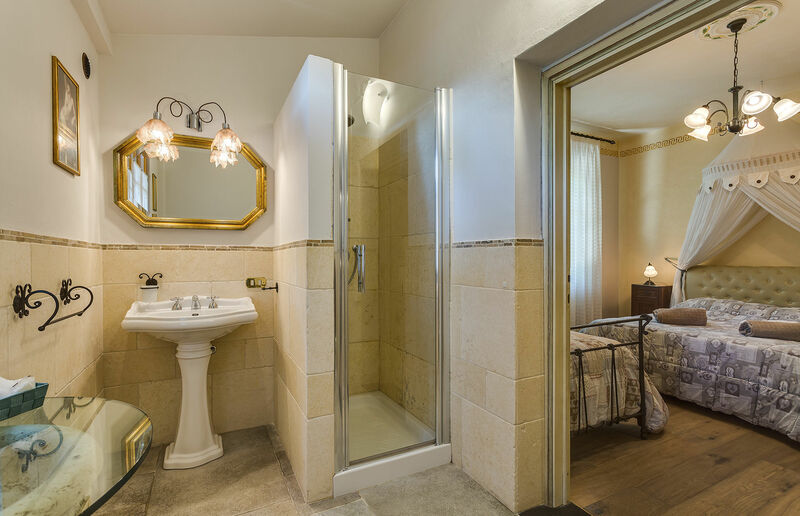 There are a further two bathrooms, one with bathtub and shower, one with shower, and a pretty little sitting room. 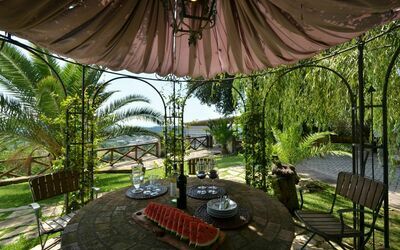 The living room opens directly onto the covered loggia terrace and in turn to the villa's gorgeous garden which is adorned with plants and flowers. 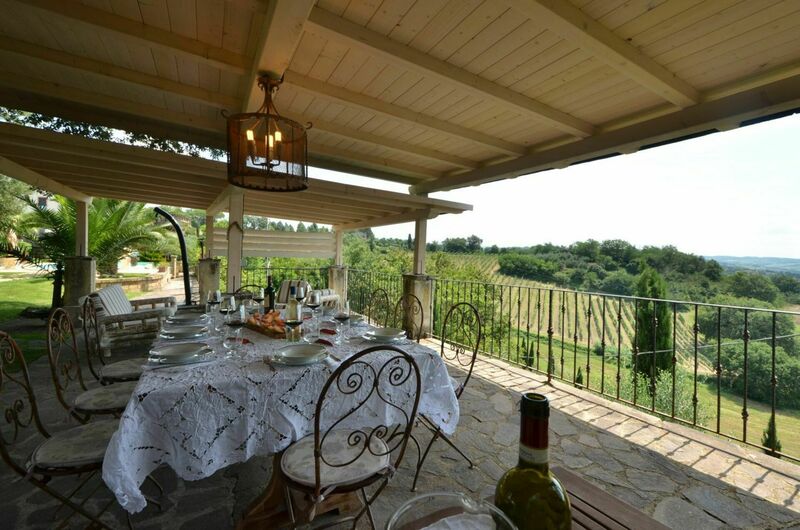 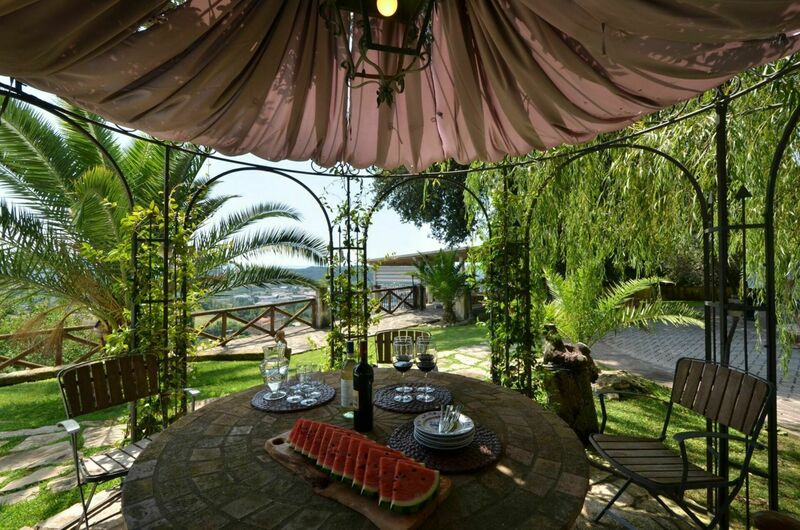 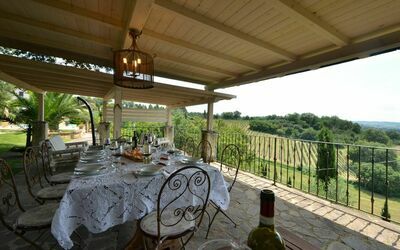 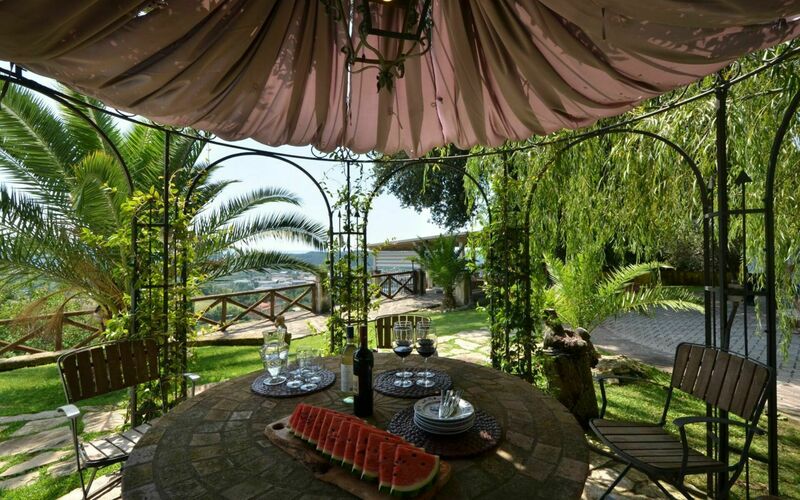 In the garden there is a barbecue and lovely wrought iron two gazebos furnished with table and chairs for dining al fresco whilst enjoying the essence of the Tuscan countryside. All the windows have mosquito screens. There is an broadband internet connection for guests' use. 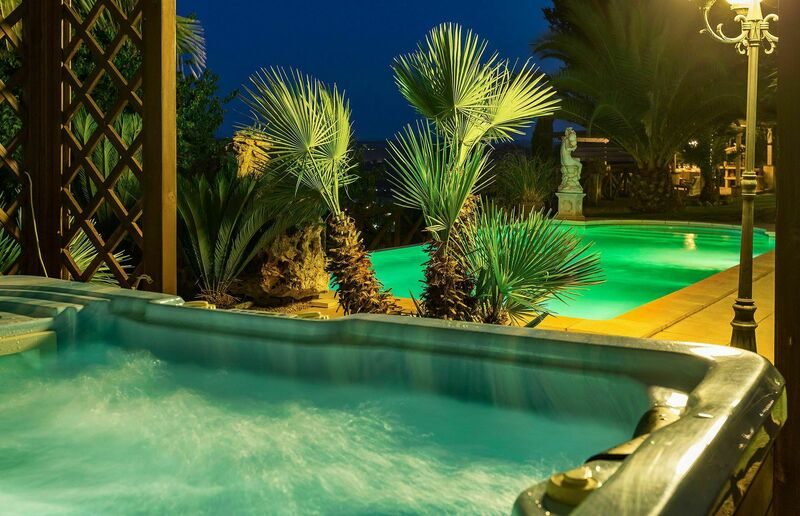 A separate hydrotherapy SPA Jacuzzi tub (€ 50, per 30 minutes per 4 person / per use) which is beneficial to the skin. Power included up to 330 kwh/week; the exceeding consumption is charged euro 0,50 per Kwh.